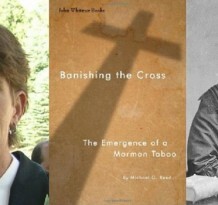 Today I sit down with Michael Reed, author of “Banishing the Cross: The Emergence of a Mormon Taboo”. We talk about How the cross was portrayed early in Church History, Why it becomes a problem, and Where are we at today. We also hint at where we might be going. This issue is a microcosm of false assumptions and getting off track at large. Click the link above for his book!!! Great program (148)as a convert to the church in 1981 this has always been an issue for me because I was raised a Catholic and come from a LONG line of very devout Catholics and crosses were proudly displayed in our homes and wearing your rosary around your neck was common. I inherited my grandmother’s, aunt’s and mother’s rosaries and it made me sad that I felt I had to hide them or the old wooden cross from my great uncle’s home was buried away in a box. Now I do hang them up on the wall because I am proud of my family and who they were and I don’t allow anyone to take that away from me anymore. I feel that if fellow members of the church visiting my home are not happy or comfortable seeing my family heirlooms displayed then maybe they need to stay home. I have never felt that Jesus was offended and His is the only opinion that matters to me in the end. Thanks for a great show and thank you Michael for your candid words! These podcasts are very informative and enlightening. There is still some resistance regarding the cross, but this podcast provides ammunition to disregard our silly unfounded position against the cross. It’s great to have light, truth, and knowledge. When I see how messy history was I can feel great about myself and my shortcomings knowing that others had them too. Thank you do much! This is an amazing podcast! I am Lds and have worked as an accompanist for the Catholic church for the last 18 months. They are am amazing group of people who are so incredibly generous. I was given a cross necklace by my choir director. With the knowledge of the podcast, I now feel comfortable wearing it on all situations. Michael, Very interesting thoughts about the cross. Gordon B. Hinckley spoke about this very subject (1st Presidency Message – The Symbol of our Faith, April 2005). He spells it out very clearly, in my mind, about why we do not use the cross as a symbol of our faith, and in a very loving, humble way wishes not to offend those of other religions for their use in and on their places of worship. Rather, he states, “So because our Savior lives, we do not use the symbol of His death as the symbol of our faith. No sign, nor work of art, no representation of form is adequate to express the glory and wonder of the Living Christ. He (The Savior) told us what that symbol should be when He said, “If you love me, keep my commandments.” (Pres. Hinckley suggests that this is what should symbolize our faith as members of the church). I personally believe the cross has another symbolic meaning which does not conflict with doctrine, nor does it bring about any new doctrine of the church (which I have no authority to do). As we read in the scriptures (Both Bible and Book of Mormon) we see that “trees” are often symbolic of individuals, and at times even nations (vineyards) – several references if requested). So, as we look at the cross we find that it is made from a tree – However, it is a dead tree. Can the cross or “tree” then represent each one of us, individually (all men that has ever lived or will yet live on this earth as represented by a “dead” tree (the cross) because, for it not for the Savior, all would remain spiritually dead. Can we also say that when the Savior was nailed to the cross, that this may represent the fact that each one of us (all men) individually were nailed to, fastened to, tied to the Savior through His atonement (for His atonement affects all men)? The Sacrament includes symbols of the Savior’s death. We focus on that almost every single week! To say that we exclusively do not focus on His death or symbols of His death is wrong (respectfully). I loved the book and appreciated the great insights. The Pot Roast Parable provided a great addition to your interview with Reed. someone should really try to somehow organize a “mormons wearing crosses to church day”to show our support with our fellow Christians in their use of the cross. That someone should be well versed on the origins of the cross as it applies to Mormonism. He/she should also have the ear of over 15 thousand listeners. This person should also be passionate about faithful questioning. Bill, any idea where i could find someone like this????? I was told by my mother in law the rationale about the cross being a symbol of death. I was therefore very surprised some years later when she sent us little nail ornaments to hang on our christmas tree to remember Jesus as the reason for the season. If the cross is to be regected as a symbol of death why not also the nails? I agree with the parable of the pot roast. In addition I believe that people are generally good at justifying our present actions. Sometimes our justifications and rationales rise almost to the level of becomeing doctrine (individual or communal). Our prophets, seers and revelators have spoken! “Most other Christians use the cross as a symbol of their devotion to Christ, a physical reminder of His crucifixion on Calvary. 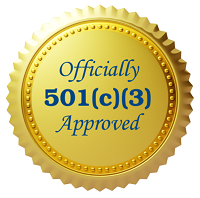 So why don’t members of The Church of Jesus Christ of Latter-day Saints follow suit? We revere Jesus. He is the Head of our Church, which bears His name. He is our Savior and our Redeemer. We love Him. Through Him we worship and pray to our Heavenly Father. We are grateful beyond measure for the essential and awesome power His atonement has in each of our lives. But while thoughts of the blood He shed for us in Gethsemane and on Calvary fill our hearts with profound appreciation, it isn’t just the fact that He died that is so meaningful to us. Our hope and faith are rooted in the profound understanding that He lives today, and that He continues to lead and guide His Church and His people through His spirit. We rejoice in the knowledge of a living Christ, and we reverently acknowledge the miracles He continues to work today in the lives of those who have faith in Him. That is why we choose to place less emphasis on a symbol that can be construed to represent primarily His death. We believe that only as we focus our attention on the Savior and build our lives upon the strong foundation the Atonement and gospel give us, are we prepared to resist the challenges and temptations so prevalent in today’s world. M. Russell Ballard, Our Search for Happiness. An Invitation to Understand The Church of Jesus Christ of Latter-day Saints (Salt Lake City: Deseret Book Company, 1993), 13–14. A Protestant minister, after touring the open house in the Arizona Temple, said to Gordon B. Hinckley, “I’ve been all through this building, this temple which carries on its face the name of Jesus Christ, but nowhere have I seen any representation of the cross, the symbol of Christianity. I have noted your buildings elsewhere and likewise find an absence of the cross. Why is this when you say you believe in Jesus Christ?” Gordon B. Hinckley responded, “I do not wish to give offense to any of my Christian brethren who use the cross on the steeples of their cathedrals and at the altars of their chapels, who wear it on their vestments, and imprint it on their books and other literature. But for us, the cross is the symbol of the dying Christ, while our message is a declaration of the living Christ,” in Ensign (May 1975), 92. For a similar reason the life of the adult Jesus is more emphasized in LDS thought than the manger. Douglas, I value your opinion but simply agreeing with a prophet seer and revelator doesn’t make something Doctrine? Do we have Jesus on record saying the cross is bad? Many in the church are struggling because some members feel the need to push for them to agree and believe anything the brethren say when that has proven to be a faulty model full of exceptions. I am all for seeing the brethren as a vehicle for truth but I do not see them as the ultimate source of truth and to take your route and see the cross as a negative simply because you have been told to simply doesn’t work for me and countless others. Rather we recognize that on this issue and many others we created this taboo out of our own prejudice. You can choose to side with the brethren on every issue that arises and you may choose to call that faithfulness. But please don’t assume my walk which looks different than yours is something less faithful. For me to let go of what I know and just follow and agree with them in spite of my conscience, logic, and heart would be disingenuous and unauthentic, and would be folly to my soul. Do other Christians not worship the Living Christ? see how offensive that sounds? Do you want me to reason as follows? Would you do something like that with one of your children? You as a father will promote something like this for one of you own kind and blood? Do you see how sinister and evil this is? Now… To me… This not normal behavior and reasoning, this is a twisted interpretation of a pagan view, and again… This is a “Pagan View” not even Christian. It is very obvious that many do not understand that the Cross was and instrument of torture and death, that the cross was introduce by pagans as a false symbol of Christianity (and I believe that the author of this book need to do more research about this issue, his lack of information on the subject is just poor history research) I want to remember my son the way he lived, the joy he brought into my life, his laugh and his love for me and remember who he was and not the way he was slaughter, do you want me to take an instrument of execution and death like the “Electric Chair” and make this a symbol of my devotion and worship and remember my King, Lord and Savior, my living and Loving God Jesus Christ this way? Do you want to remember him who is perfect and full of love like this? “The cross, a traditional symbol of Christianity, is displayed extensively in Catholicism, Eastern Orthodoxy, and Protestantism. In each tradition, the symbol of the cross focuses the worshiper’s attention on central elements of the Christian faith. However, different theological points may be emphasized. For example, in Catholicism the crucifix (the cross with the dead Christ hanging on it) symbolizes the crucifixion of Christ and invites meditation on the Atonement. In contrast, the plain cross used by Protestants symbolizes not only the crucifixion but also the resurrection of Christ, for the cross is empty. The Eastern Orthodox crucifix is a symbolic concept somewhere between those of Catholicism and Protestantism: Christ hangs on the cross, but as the living Lord, his head not bowed in death but raised in triumph. Thus, the crucifixion, the Atonement, the resurrection, and the Lordship of Christ are all graphically presented in the Orthodox crucifix. Latter-day Saints do not use the symbol of the cross in their architecture or in their chapels. They, like the earliest Christians, are reluctant to display the cross because they view the “good news” of the gospel as Christ’s resurrection more than his crucifixion. The LDS conception of the Plan of Salvation is comprehensive. It encompasses a Council in Heaven; Jehovah’s (Jesus’) acceptance of his role as Savior; the virgin birth; Jesus’ life and ministry; his saving suffering, beginning in Gethsemane and ending with his death at Golgotha; his burial; his preaching to the spirits of the righteous dead; his physical resurrection; and his exaltation to the right hand of the Father. No one symbol is sufficient to convey all this. Moreover, the cross, with its focus on the death of Christ, does not symbolize the message of a living, risen, exalted Lord who changes the lives of his followers. Thus, President Gordon B. Hinckley, counselor in the First Presidency, stated that the lives of people must become a “meaningful expression of our faith and, in fact, therefore, the symbol of our worship” (p. 92). This was the cross, the instrument of his torture, the terrible device designed to destroy the Man of Peace, the evil recompense for his miraculous work of healing the sick, of causing the blind to see, of raising the dead. This was the cross on which he hung and died on Golgotha’s lonely summit. Free Agency is a beautiful Gift for which I’m grateful and because of that I taking stand besides my Prophets, Seers and Revelators. And there I will stay! But definitely one thing is for sure… we are not standing on the same ground! And that is ok.
God Bless you Brother Reel. Your point of view honors only one perspective. It ignores the fact that the rest of Christianity has used the cross as a sacred symbol for 2000 years. It doesn’t pause to consider why they use that symbol and why they have not discarded it. Are they just ignorant that Christ died in a painful manor on this horrible tool of punishment? Are they just ignorant of the fact that this cross of wood was a barbaric way to kill the Son of Man? That he suffered and bled and died on this piece of timber? Are they ignorant of the Living Christ? Do they not know or do they not worship the resurrected Savior? Douglas, While the Church leaders repeat a past message that “as LDS we see the cross as a negative and while other Christians use it, we don’t” it ignores the fact that there is no Doctrine behind such a teaching. Just because leaders repeat a teaching over and over doesn’t make it true. Just because leaders say over and over Jesus was born on aPril 6th doesn’t make it true. Just because Elder McConkie and Joseph Fielding Smith said Evolution was a heresy doesn’t make it true. Just because all 15 men in the 1940’s said that interracial marriage was sin and that Blacks were less valiant in the premortal life and that both teachings were doctrine…. doesn’t make it true. Just because John Taylor and others said polygamy would never end doesn’t make it true. Just because someone says something doesn’t make it true. So please don’t create a dichotomy where because you follow them regardless and I dissent when I feel they are wrong that that somehow makes you God’s faithful son and me something less. It may make you feel superior and may make you feel safe and feel like your on the winning team but it will also cease your personal progress. God never intended the Church to be the ultimatum on truth….. rather he taught all of us to seek the spirit within us and to trust that as ultimate truth. Show me a scripture where God asks us to follow our leaders no matter what they say or teach? but your analogy misses an important perspective…. Your story doesn’t involve the people killed miraculously coming forth from the grave in three days. Your story doesn’t involve the person who miraculously rises from the dead also making an atonement for the world in his death. Willingly doing so because that sacrifice would save us all. The empty Cross is inspiring and it is Christian to the core. And a few leaders holding old cultural perspectives that the cross is bad simply because they don’t know that we used to use it and they don’t know when we got away from it and they don’t know why we did so…. is never going to be reason for me to simply follow along and pretend God said something he didn’t.